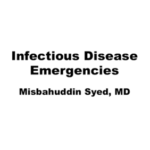 Dr. Syed focuses on the diagnostic sign of fever and the ways that non-infectious factors can induce the febrile response. 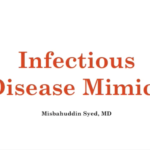 Dr. Syed covers neoplastic fever, central fever, neurogenic fever, autonomic dysreflexia, drug fever, periodic fever, Familial Mediterranean Fever, TRAPS, and some other less common syndromes. 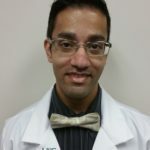 Dr Syed also touches on the history of how the “normal” temperature for average individuals was calculated.